Giveaway #7 - Win 5 SBD! Upvote, Comment, Follow, Resteem, Get 0.3 SBD!steemCreated with Sketch. The rules is the same as always. Get 0.3 SBD: Upvote, Comment, Resteem, Follow (if you are not already following). It's getting harder and harder to pick a winner since alot of you are doing a good job creating good blog posts. Use images in your post, the first one is going to be shown in the feed, so pick a good one. Don't copy content from the internet! I've seen a few. It will get flagged and hurt your reputation. After 24 hours I will look at your last blogpost and pick the one that I like the most. You will be featured on this post and in the next giveaway. This means EVERYONE get some SBD! The winning blog post will be posted here when the competition is over. The competition lasts for 24 hours! This is a great tutorial and it must have taken alot of time putting it together. I like it! The competition is over and I have picked a winner! WOW! This is what an "introduceyourself" post should look like. Well written, well laid out, nice pictures and correct tags. This post deserves more attention and upvotes! Since It's 3 days old I might give your second post attention in the next giveaway. I just sent 5 SBD! See you until next giveaway. Meanwhile go create some good content on Steemit! This post received a 4.4% upvote from @randowhale thanks to @rkrieger! For more information, click here! Thanks for the great giveaway. You're amazing!!!! This post received a 4.6% upvote from @randowhale thanks to @rkrieger! For more information, click here! Hey @stefanarud! Amazing to keep it up and highlight great content. Perhaps an adjustment in rewards might be positive as well. Something like a top 3 of best best and #1 gets 3 SBD, #2 gets 2 SBD and #3 gets 1SBD. Then you highlight even more. And you said that it is getting harder and harder. Now you can reward more people with (almost) the same reward. Alright, that makes sense as well. Unfortunately I don't have such a big follower base (just yet). So my resteem only reaches 350 people now. I hope your giveaway will continue to grow and the payouts will be more so in turn you can highlight more! Yup I do write a little comment but only in the original post, I should copy it to the next giveaway next time. Nice idea @stefanarud not only does this help all noobs get a little cash but it helps highlight some positive posting. As @rkrijgsman said it would be cool to highlight others. What you should do is simply do runner ups since you don't have funds to pay out right now! People will I'm sure be just as thrilled to get a shout out on one of their posts as winning first! Plus it's driving repeat traffic back to your new contests 😉. Good ide and thanks for sharing your thoughts. It is great what you are doing. love to be part it so i have upvoted, resteemed and i am following you! Big job reading all the post but fun to select a winner! This comment has received a 1.25 % upvote from @booster thanks to: @stefanarud. Let's work to make sure quality content is curated! Upvote quality posts and comments. Actively search out other minnows content! Sent 0.3 SBD two times by mistake so you got 0.6 SBD! Thanks for doing this as always and thanks for sifting through lots of content and highlighting ones that may never have got the light they deserve. I hope I will get some Steem. All done thanks! Its great to see people helping others. Be interesting to see if this is legit... i've jumped through the hoops. Go it, upvote, follow, resteem, and the obvious. done,done,done! :) keep it up! Upvote, Comment, Resteem, Follow. DONE! This post received a 4.3% upvote from @randowhale thanks to @stefanarud! For more information, click here! Upvoted. I was following you before. This post has received a 4.84 % upvote from @booster thanks to: @stefanarud. Thnx @stefanarud i love this kind of support. Thats also what i need and hoped for to get and give with my post. So lets get pumped up, and maybe the charts go up with us. Did all 4 items, inc resteemed. 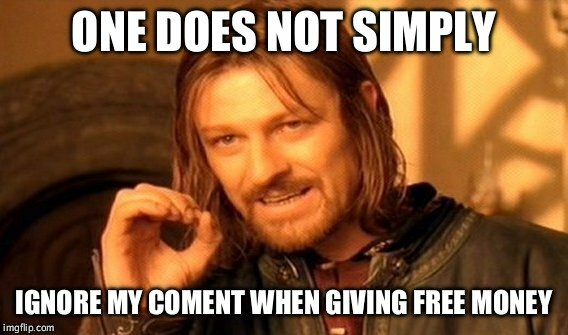 Upvoted, commented, resteemed and followed. Nice initiative sir.I have upvoted, resteemed, commented and followed. Congratulations! This post has been upvoted from the communal account, @minnowsupport, by stefanarud from the Minnow Support Project. It's a witness project run by aggroed, ausbitbank, teamsteem, theprophet0, and someguy123. The goal is to help Steemit grow by supporting Minnows and creating a social network. Please find us in the Peace, Abundance, and Liberty Network (PALnet) Discord Channel. It's a completely public and open space to all members of the Steemit community who voluntarily choose to be there. This post has been ranked within the top 25 most undervalued posts in the second half of Jul 11. We estimate that this post is undervalued by $33.08 as compared to a scenario in which every voter had an equal say. See the full rankings and details in The Daily Tribune: Jul 11 - Part II. You can also read about some of our methodology, data analysis and technical details in our initial post. All done! Thank you so much! All done, hope am not too late to be part of this cool give away @stefanarud alway good reading from you.